The Bizzy Bites Horse Lick Toys is designed to help break your horses boredom. Can be used in the stable, out in the paddock or field and can also be attached to a wall or fence. The Bizy Bites Toy is easy to assemble and will give your horse hours of fun even when the lick is finished. The box includes the chewable wings, mint sponge inserts and a refill. Please note that the wall bracket is sold separately. Bizzy Bites is a unique and innovative, boredom breaker and stable toy. 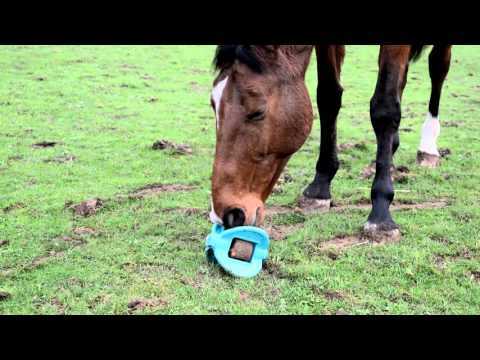 The range of Bizzy Bites Horse Toys is highly robust and can be used in the stable or in the field. You can also purchase the bracket separately to alleviate symptoms of boredom and stress such as crib biting, wind sucking and weaving.